Senate President, Dr. Abubakar Bukola Saraki, on Friday congratulated the outgoing Minister of Environment, Amina J. Mohammed, on her appointment as the United Nations (UN) Deputy Secretary General. Saraki, in a statement by his Special Adviser on Media and Publicity, Yusuph Olaniyonu, stated that Mohammed's appointment at the UN was a testament of her competence, and an acceptance by the global community of her ability as a reformer. "Mohammed has demonstrated over the years that she is in a class of her own as a technocrat," he said, "During her tenure at the Environment Ministry, we have seen and felt her positive impact at the helm of its affairs. "As one of the newly appointed leaders in the administration of UN Secretary General, PM Antonio Guterres, Mohammed will be better positioned to represent Nigeria and Africa's interests on the world stage." 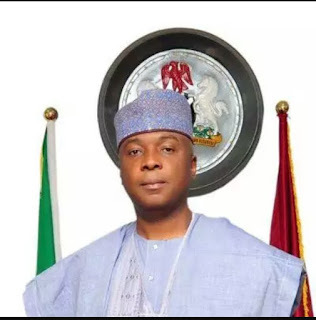 Saraki urged Mohammed to use her position to advocate for greater international intervention for the humanitarian crisis in the North East, while emphasizing that she would continue to have a partner in development in the Nigerian National Assembly. “In this regard, I urge Mohammed to use her esteemed position to demonstrate the urgency for more international intervention and donations in the North East," he said, "On our part, the National Assembly will continue to support all positive development strides of the UN, with the belief that such initiatives will better the lives of Nigerian citizens."